Contemporary, modern style luxury apartment. South / southwest facing. Large communal swimming pool. First line golf gated community in a golf resort. 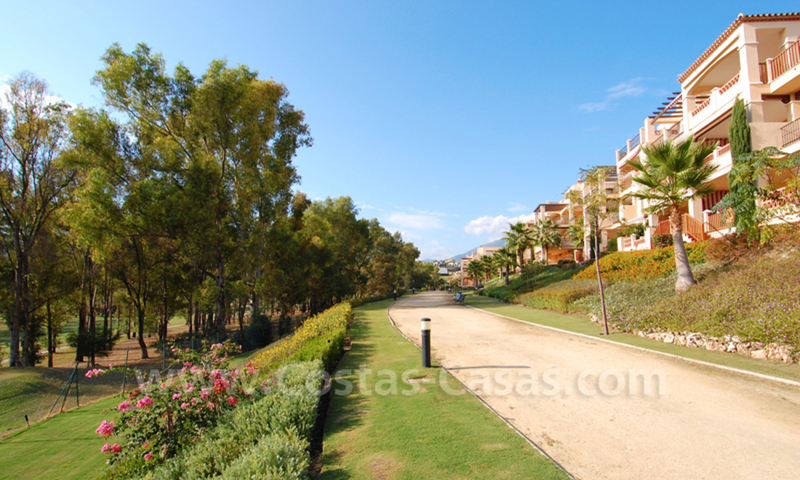 For Sale First Line Apartment in Exclusive Estate on the New Golden Mile between Marbella and Estepona The apartment is southwest facing and offers views of the gardens, the swimming pool and the Mediterranean Sea. 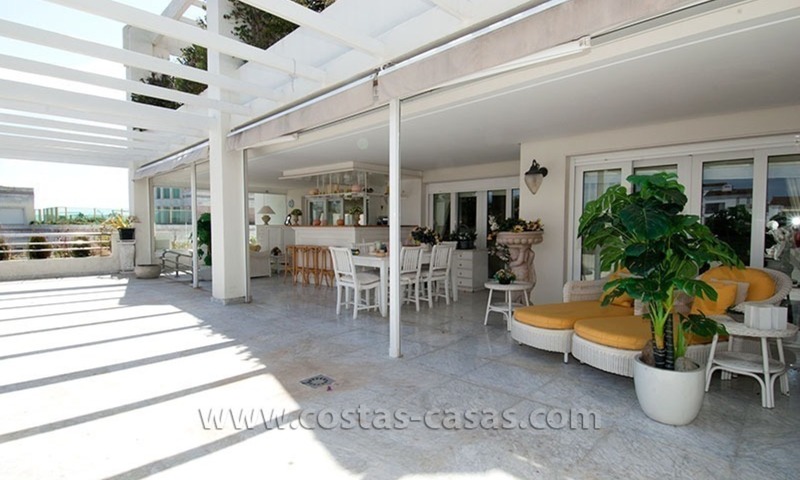 This property offers an ample terrace that border a private garden covered with a synthetic and maintenance-free lawn. Highly motivated seller. This apartment was already reduced in price and is now offered for less than the original purchase price. 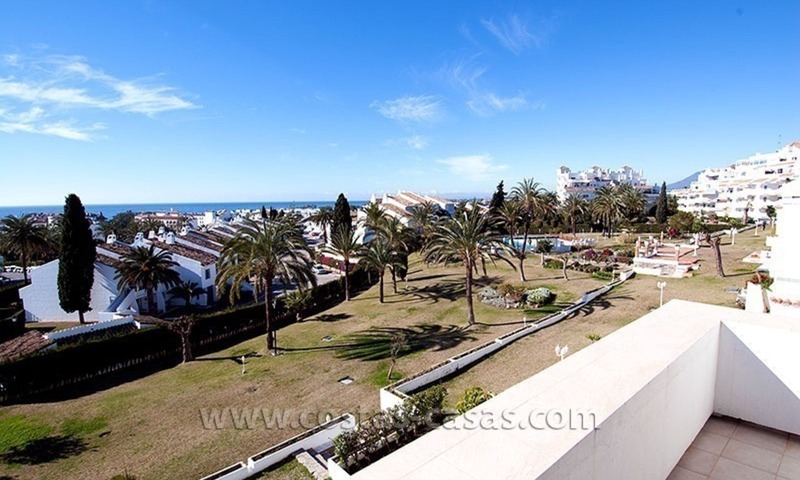 For Sale: Apartment in Downtown Puerto Banús – Marbella Ideally suited for vacationers and also offers great potential for generating rental income. Recently been renovated. Amongst others, the terrace has been retiled. Competitively priced, especially when taking into consideration its privileged sunny location and the sea views. 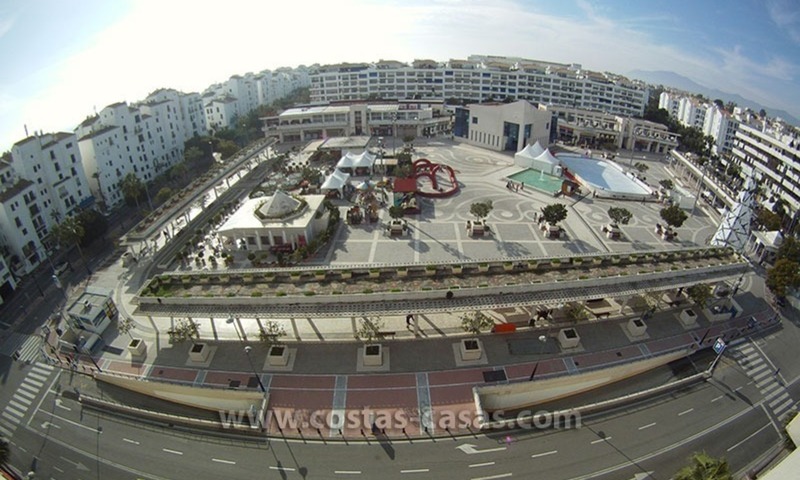 Offered exclusively by Costas & Casas Marbella (key holder). 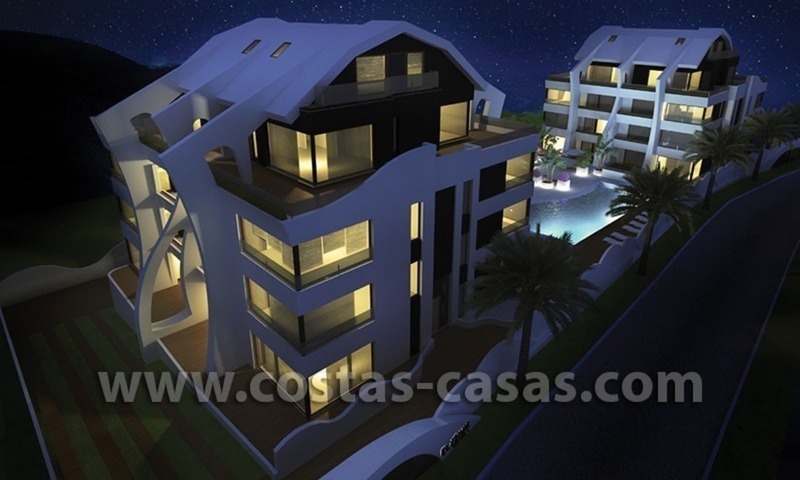 Exclusive Apartment For Sale at Playas del Duque – First Line Beach Estate in Puerto Banús, Marbella Opportunity knocks! 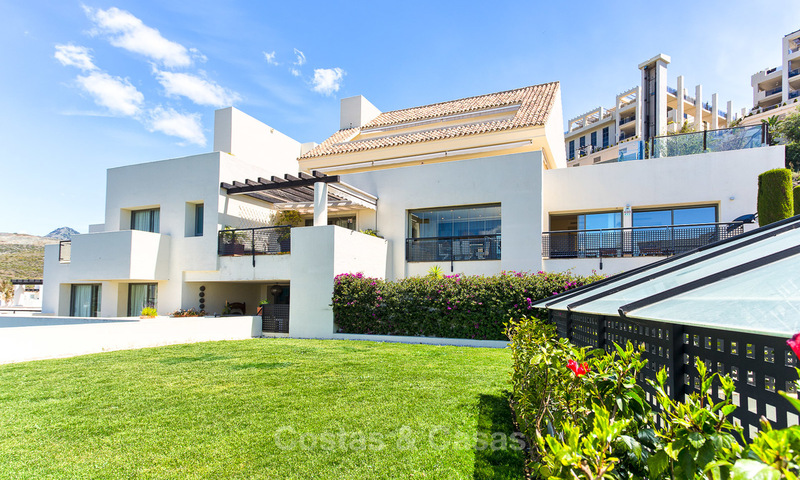 An exceptionally spacious corner apartment is now available for sale in the most recently built section of the Playas del Duque estate sitting right at the beach of Puerto Banús. This luxury apartment features the most spacious terraces of the entire estate. This apartment originally comprised four bedrooms. 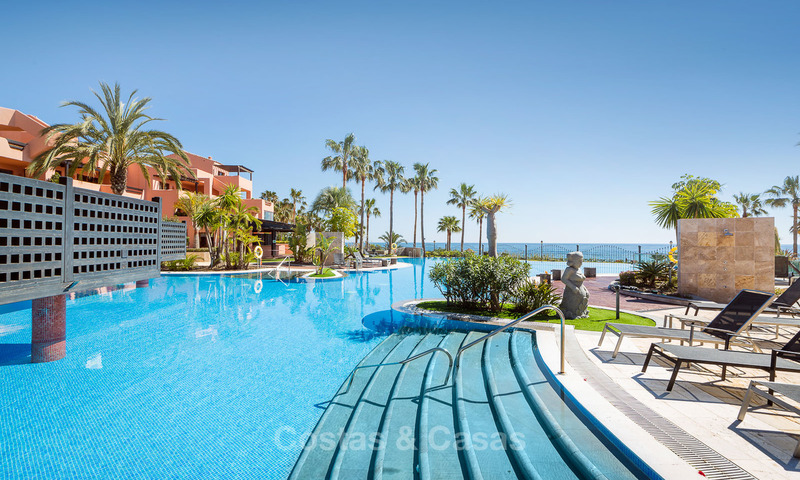 For Sale: Exclusive Apartment at Playas del Duque – Beachfront Estate in Puerto Banús, Marbella An exceptionally spacious apartment is now available for sale in the most recently built section of the Playas del Duque estate sitting right at the beach of Puerto Banús. 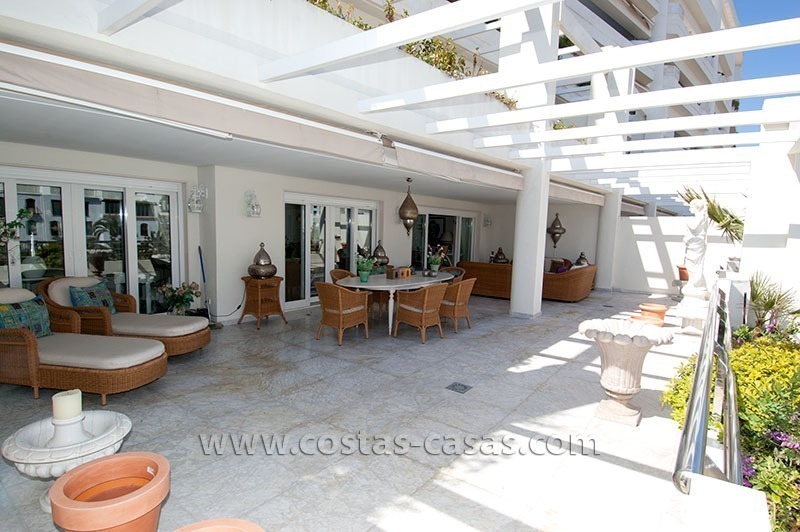 This luxury apartment features the most spacious terraces of the entire estate. The adjoin three bedroom corner apartment (originally a four bedroom apartment) is also for sale through us. This enables the discerning buyer to merge both properties into one huge apartment offering no less than six to seven bedrooms. Very spacious apartement. West facing. Views over the golf course.